I am having such a moment with concocting beauty products from the contents of my kitchen. Make that a normal person’s kitchen as my kitchen is quite bare save for the bottled water, reese’s peanut butter cups, and beauty creams and serums that take up residence in my refrigerator. Full disclosure: I don’t cook. Anything. Not because I don’t know how – although my recipe catalogue is quite limited – but because I’m just not patient enough to take the time needed to prepare the food. And I’m rather uninterested in seeing or touching raw meats, poultry, or fish. But I have found another use for my kitchen space and it’s rather similar to cooking (without ever having to look at raw animal), yet it benefits my skin: I’ve decided to use my kitchen to make beauty products. Besides being a rather fun activity, it saves a ton of money and the finished product is quite rewarding. 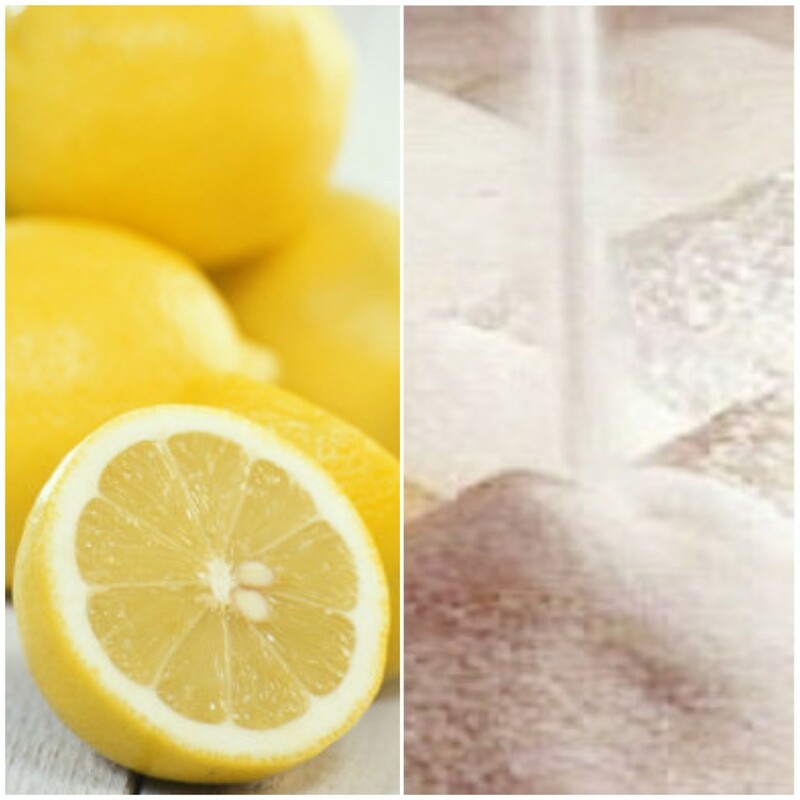 This DIY lemon and sugar scrub beauty obsession can be used on both the body and face. It’s ideal for rough spots like feet, knees, elbows and hands. It’s also great for nail beds and cuticles. To use on the face, this scrub works wonderfully for those with acne-prone skin. But, of course, the entire body can benefit from a lemon and sugar exfoliation that leaves skin soft and insanely smooth. Indulge in this scrub from head-to-toe! Olive Oil – High in vitamin E, which soothes and heals skin; a natural moisturizing ingredient often used for its anti-aging benefits. Honey – A natural source of anti-oxidants making it a perfect ingredient for age prevention; a natural humectant so it locks water into the skin and keeps the complexion hydrated; the antibacterial properties benefit acne-prone skin by reducing breakouts. Add lemon juice and olive oil in to a bowl (I like to use tupperware as it is easy storage) until they mix together. Add the honey and whisk or stir quickly until the ingredients bind together into a medium-to-thick consistency. You can add or subtract the amount of olive oil and honey that you use depending on how thick you want your scrub to be. I would use one half of a freshly cut lemon for every 1/2 cup of granulated sugar. Combine the sugar and mix. If you sense that there isn’t enough sugar to get the scrubbing done, add a bit more. Again, this is a personal preference. 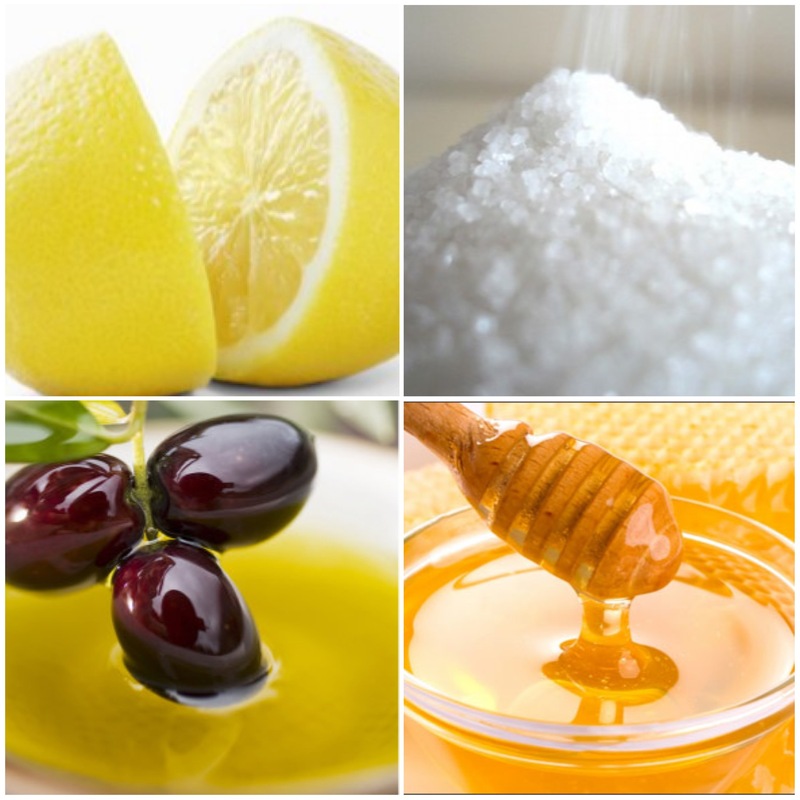 As a face scrub: The lemon and sugar scrub is also great for the face, but use with gentle circular motions. This scrub is ideal for people who suffer from breakouts and acne as all of the ingredients are highly beneficial to acne-prone skin. Lemon tightens pores and evens out the skin tone, sugar removes dead skin cells and cleans pores, olive oil heals acne scaring, and honey prevents future breakouts. To use, follow the same instructions then apply to clean face in gentle, circular motions. Be cautious of using on open wounds, as lemon has a tendency to sting. Leave on for 7-10 minutes and rinse with cool water. There are several ways to make a lemon and sugar scrub, but I have found this one to be the easiest and most effective. *Make a new batch every 2-3 weeks, to insure that ingredients work as effectively as possible. Let me know if you try it and how it works for you. Happy (and healthy) bathing!